You guys! I'm super excited to share something new with you! 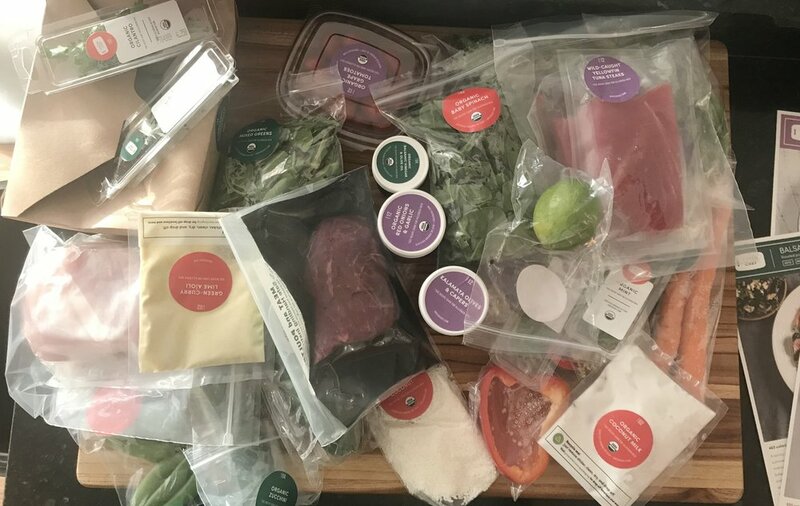 Our friends over at Green Chef sent me a box of their newest Keto meals! If you're not familiar with Green Chef, it is a USDA-certified organic meal kit company that delivers everything you need to make delicious home cooked dinners in just about 30 min. Green Chef offers a meal plan for everyone, including paleo, gluten-free, vegan, vegetarian, omnivore, carnivore, and now KETO! How awesome is it that we're seeing more and more keto options in our community and beyond? My kids were sooooo excited when this package came to the door, beautifully boxed and ready for us to dig in. The keto meal kit contains 3 recipes, 2 servings each, for a total of 6 meals. Can we please take a moment to marvel at the perfectly packaged, labeled and portioned FRESH ingredients for the recipes? Does your mise en place look like this when you are cooking? No? Um, mine looks like a tornado came through the kitchen whenever I cook, so this level of organization is a phenomenon. Can I tell you another cool thing? My eight and nine year old kids were with me when I was unpacking the ingredients and they asked if they could help cook. With the step-by-step instructions and the ingredients at the ready, I said yes. And we had the BEST time. We spent an hour cooking three meals which we could eat throughout the week (they did most of the work! ), had dinner together that night, and enjoyed each other's company. It made me feel so good to feed them fresh, healthy food, and it made them feel good to make recipes from start to finish. Oh, and my husband and I were perfectly keto without having to think too much about it. Win Win Win! The three recipes that the kids and I cooked were Coconut Curry Chicken (their favorite - especially the curry aioli for dipping), Tuna Puttanesca (OMG, the flavor on this was amazing! 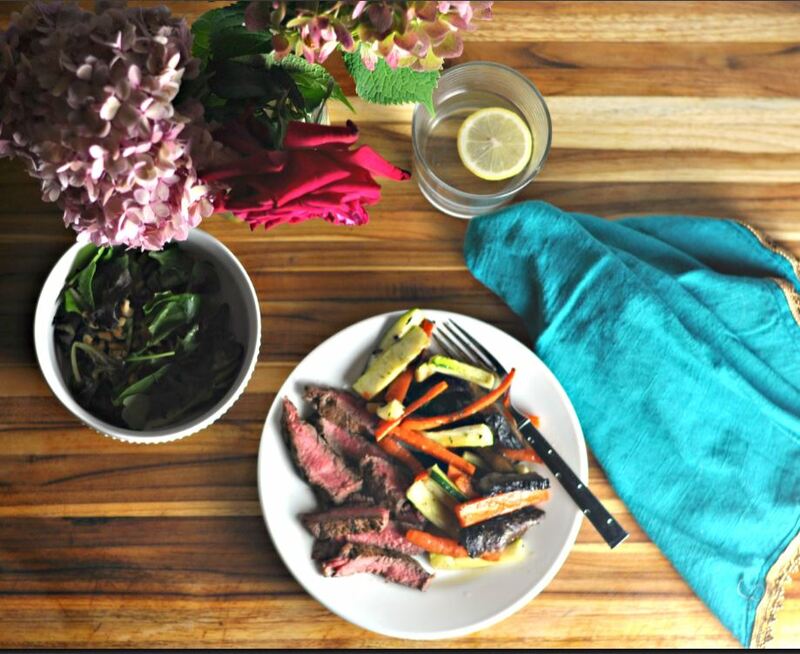 ), and my favorite, the Balsamic Rosemary Steak, which is the meal pictured at the top of this post. A quick note about ketosis with these meals: If you are maintaining ketosis, you may want to reduce your vegetable portion to meet your macros. Green Chef is all about fresh veggies, but it's really up to you if you want to pull back a bit to keep your macros on point. I gave extra veggies to the kids and my husband and I had a bit more protein and fat in the form of butter and some avocado. Green Chef continues to work on creative ways to keep the dishes interesting while driving down the carb content even further and increase fat content, so stay tuned for that! Here's the nutritional info for the recipes that we cooked, along with links so you can check 'em out for yourselves! I had so much fun making (and eating) these meals! 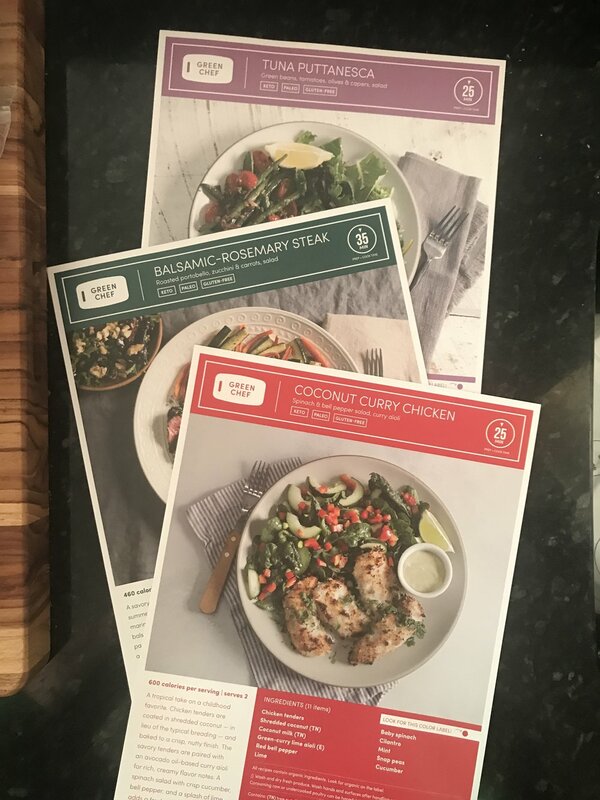 If you're in the market for a time saver but still want to stay on plan, give Green Chef Keto Box a try!